From an architectural photographer and his graphic designer partner seeking an oasis away from the city to an architect building his own home from the ground up, this year’s Interiors issue goes behind the scenes with the experts themselves to showcase the painstaking thought and creativity that goes into designing and decorating their own homes. Also in this issue: A grandmother who posed for members of the Group of Seven and the artwork that came of it, plus an artist who turns old radios into MP3 players, a look at local collectors and their collections, and more than 160 pages of great city style and stories. 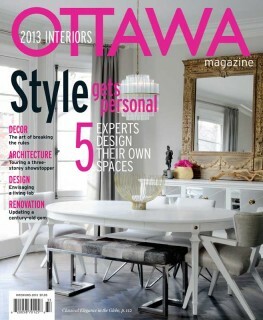 An issue devoted to experts and their spaces is something I’ve always wanted to do. Each of us seeks to shape our home into a place where we feel comfortable and happy, a space that rejuvenates us at the end of a busy day. Unfortunately, most of us amateurs go about this noble goal in a slapdash sort of way. How radically different is the process of home design — and the results — when a curatorial eye is at play? What we learned was surprising. Diversity was the name of the game in the new, or newly renovated, homes of our six experts, all involved professionally in fields that centre on architecture and design. There is, it turns out, no magical crib sheet. We saw bright and bold, fresh and family-friendly, contemporary, romantic, and sometimes any number of these themes at play in one location. But there was one unifying feature. The expertise of these homeowners allowed them to be selective. With a true sense of what would work, they chose brilliantly in creating homes that reflect who they are and that bring them great joy. They may not end up looking exactly as originally imagined, but no matter. In conceiving this issue’s series of three “Ideas in the Making” columns, we sought to explain the creative process from start to (almost) finish — to get inside the minds of talented creators who come up with the projects we wish we’d developed. Writer Patrick Langston does an outstanding job of exploring the thinking behind three ideas currently in various states of completion: a Japanese-inspired skinny house, a Canuck-themed art installation, and an eco-fashionable condo project. Doesn’t get much more varied than that. 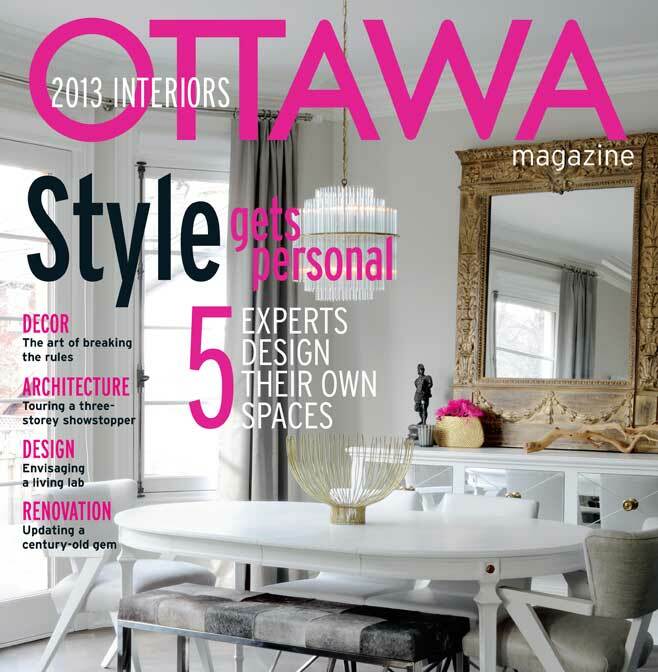 Coming Up: April marks Ottawa Magazine’s 15th anniversary! Tune in as we cele-brate — and have some fun with — some of the thousands of stories that have graced our pages as Ottawa has grown from a big small town to a small big town. As well, we take an unorthodox look at official Ottawa and follow a victim of crime as he documents his arduous recovery process.